Like the dreaded acromantula, which can grow to massive and dangerous size if given the proper conditions to expand and thrive, J.K. Rowling’s Fantastic Beasts And Where To Find Them continues to get bigger. 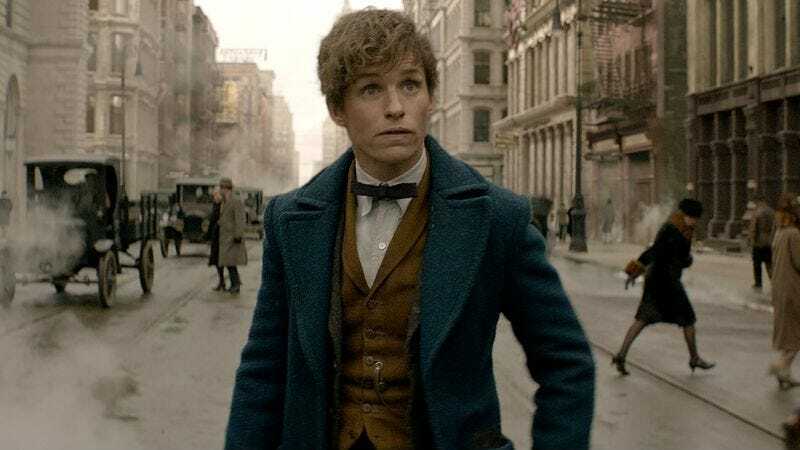 The Harry Potter spin-off was already being developed as a trilogy, tracing Eddie Redmayne’s Newt Scamander as he wanders around the 1920s Wizarding World, looking for assorted bicorns and glumbumbles to add to his collection. Now, Variety reports that three movies won’t be enough to contain all that magical box-office power, prompting Warner Bros. to expand the series out to five feature films. Fantastic Beasts is out next month, with a second film currently slated for November 2018. Frequent Harry Potter director David Yates is attached to direct those first two movies, although it’s not clear how long he’ll be sticking with the series as its duration continues to grow.